Featuring a terrace, Canary Islands Holidays provides accommodation in Las Palmas de Gran Canaria with free WiFi and sea views. Guests have a private balcony. The apartment includes 2 bedrooms, a bathroom, a seating area, and a kitchen. A flat-screen TV with cable channels is provided. Santa Catalina Park is 1. 9 km from Canary Islands Holidays, while Las Arenas Shopping Center is 300 meters from the property. The nearest airport is Gran Canaria Airport, 22 km from the property. "TRES BELLE APPARTEMENT .BIEN ENTRETENU. VRAIMENT A 2 PAS DE LA MER SUPERMARCHE EN BAS DE LA MAISON TRES PRATIQUE POUR FAIRE SES COURSES TRES BONNE ACCEUIL JE VOUS LE RECOMMANDE ET ENCORE MERCI A RITA"
"tres satisfaits de cette location. appartement spacieux impeccable, très propre, très calme, très bien équipé, facile d'accès, très bien situé. parfait." 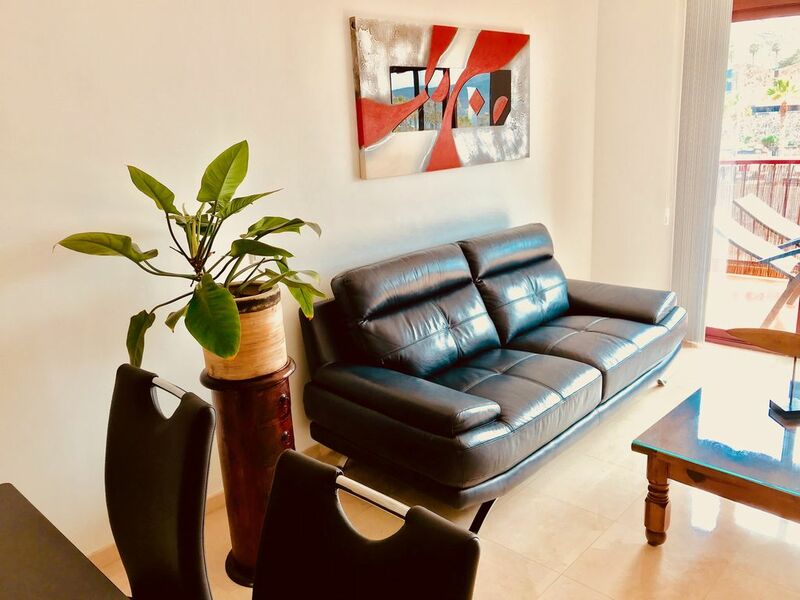 Building perfectly located in Las Palmas city.